Assisting great entrepreneurs determined to build companies with lasting significance. Peu Group (Proprietary) Limited (Peu) is a black owned and managed investment holding and advisory company. 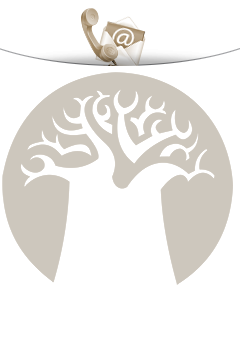 The Baobab tree and its seed aptly represent our values and objectives. Much like the seed of the baobab does, we too continue to aspire to grow an African giant from small beginnings. Today, we are creating a company that, like the maturing baobab, bears little resemblance to the sapling it once was. From the fruits of a number of portfolio investments which were used to fund our controlled investment strategy, we’ve consolidated our interests around core areas which we believe have considerable opportunities for growth. We choose investments in high growth markets with a proven track record where we have the ability to add value and realise growth potential in those businesses. ‘Peu’ means seed in Sesotho. The seed is central to the Peu philosophy of first give, then gain. With the power to multiply many times over, seeds are nature's perfect way of achieving abundance in a world of scarcity. With a seed, we get one more tool to help play a meaningful role in the future of our economy and country. Peu is committed to building long-term relationships with outstanding entrepreneurs and helping them build significant, industry-leading companies. Peu is a black-owned and managed investment holding company. Peu Group was started by Peter Malungani and was formed with a strong belief in the value of entrepreneurship. The company was established in 1996. Integral to our unwavering commitment of creating a pre-eminent investment holding company, is our relentless pursuit of strategic investments and building businesses in sectors of the economy that have sustainable levels of growth and profitability over the long term. Peu targets investments in high-growth markets with a proven track record, where Peu has the ability to add value and realise the growth potential in those businesses. Our intense involvement in the businesses in which we invest differentiates Peu from other typical investment holding organisations. Peu is actively and meaningfully involved in the strategic input and overall direction of all its investments. Peu’s investment style has been the building of businesses, acquisition of controlled investments or long-term strategic minority interests. The philosophy is that of making sound investment decisions and maintaining a proven value add track record particularly in controlled investments. Over many years of operation, Peu has been able to develop solid networks and invaluable business relationships across South Africa and the globe, allowing for substantial business synergies both internally and for our investees and clients. This adds enormous value to any transaction, as it provides an added dimension of value often so crucial in today's economic climate.